Located on the popular International Drive tourist corridor, the resort is minutes away from everything Orlando has to offer – theme parks, shopping, dining and entertainment. 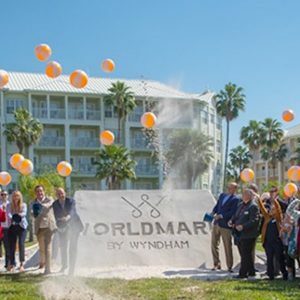 WorldMark Orlando Kingstown Reef is one of eight Wyndham Destinations timeshare resorts in the Orlando area, which includes Club Wyndham Bonnet Creek – ranked No. 4 in Orlando by Condé Nast Readers’ Choice Awards, and WorldMark Reunion. Travelers that don’t yet own a Wyndham timeshare can book vacations at these resorts through ExtraHolidays.com. WorldMark by Wyndham offers a flexible vacation portfolio, with over 90 resorts in a variety of destinations from sea to ski, coast to coast. Whether they enjoy a little excitement or prefer to lounge on the beach, families know that WorldMark promises more time to be together and more time for new traditions and new discoveries at a resort that feels like home. WorldMark suites provide all the amenities families need — including fully equipped kitchens, separate living and dining areas, separate bedrooms, and a washer/dryer — in sought-after locations across the U.S., Canada, Mexico and Asia-Pacific. For more information, visit worldmarkbywyndham.com. Wyndham Destinations (NYSE:WYND) believes in putting the world on vacation. As the world’s largest vacation ownership and exchange company, Wyndham Destinations offers everyday travelers the opportunity to own, exchange or rent their vacation experience while enjoying the quality, flexibility and value that Wyndham delivers. The company’s global presence in approximately 110 countries means more vacation choices for its more than four million members and owner families: Wyndham’s more than 220 vacation club resorts, which offer a contemporary take on the timeshare model, with signature brands including Club Wyndham®, WorldMark® by Wyndham, and Margaritaville Vacation Club® by Wyndham; 4,300+ affiliated resorts through RCI, the world’s leader in vacation exchange; and over 9,000 rental properties from coast to coast through Wyndham Vacation Rentals, North America’s largest professionally managed vacation rental business. Year-after-year, a worldwide team of more than 24,000 associates delivers exceptional vacation experiences to families around the globe as they make memories to last a lifetime. At Wyndham Destinations, our world is your destination. Learn more at wyndhamdestinations.com. 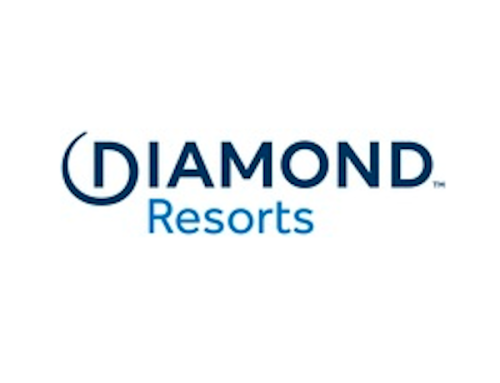 Connect with us on Twitter: @WynDestinations; Facebook: @WyndhamDestinations; Instagram: @WyndhamDestinations; YouTube: @WyndhamDestinations; and LinkedIn: @WyndhamDestinations.